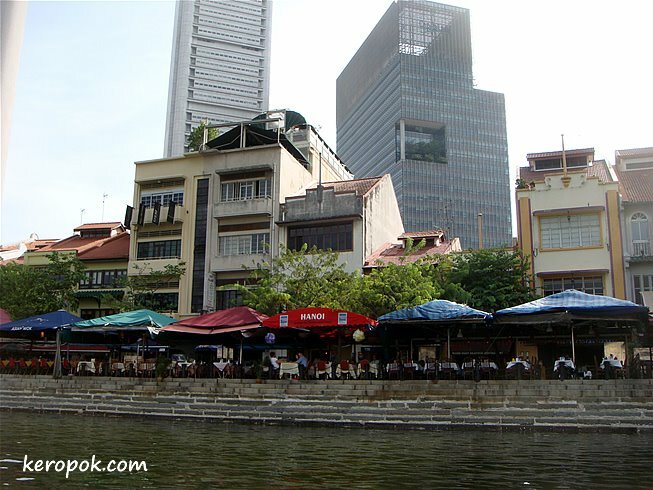 'Boring' Singapore City Photo: Along the Singapore River..
More views along the Singapore River. "Three layers" that you can see here. Layer 1 - Al fresco dining along the river bank. Layer 2 - Shop houses from the early days, still preserved. Layer 3 - Modern skyscrapers behind, soaring to the sky. I have just moved to the Baltimore Maryland area, and see this sort of thing as well. A number of the old waterfront areas are being renovated, and it makes for interesting contract.